"Discover China" Bicycle Tours Program is owned and operated by CYTS/China Youth Travel Services �Guangdong-, an Official Chinese Government Travel Bureau, based in GuangZhou (Canton). 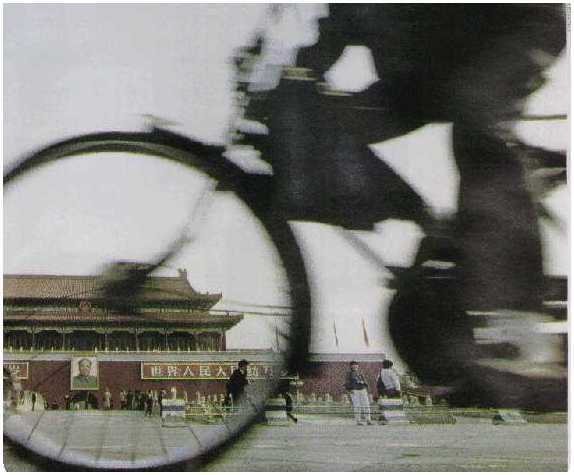 We were the first to inaugurate (back in 1981) bicycle tours for westerners in Mainland China and we pioneered the first cycling of Americans in GuangDong Province. Our finely crafted tours are designed to give you a total immersion into the diverse landscapes, culture, arts, and of course the rich cuisine of China. You can rest assured; we will always thrive to provide you continually updated scenic cycling routes and new interactive experiences for your personal enjoyment. By marketing our trips DIRECTLY to you on the Internet, we eliminate expensive overhead costs and pass the savings along to you. These are the same tours with the same level of amenities as the ones promoted by well-known companies charging $2,900 to $3,700 for 11 days. Our 16 days trips are inexpensive (under $130/day). Prices are ALL INCLUSIVE; all lodgings, meals, sightseeing fees, domestic transportation (airfare and express train in China), interpreter/guides, mechanic, a bus and a van or truck. Bicycles (new Diamondback 21 speed hybrid bikes) rental fee of $148 can be waived at time of deposit. Inquire for details. Not Included: Air to HK, dinners on Day 8-10, visa, airport departure tax in China, gratuities to guides & staff, beverages other than tea and bus transfer at HK airport. Here is a list of hyperlinks to most of the hotels* we will be staying on the trips. Hotels mentioned on the bike itinerary with no hyperlinks do not have a website at this time, please bookmark this page for updates. You will be pleasantly surprised by the high level of amenities with tourist hotel accomodations in China; nearly all have Air Conditioned rooms, IDD Telephone (International Direct Dial), Cable TV (with CNN, CNBC, BBC), and even Mini-Bar in some instances. Some have swimming pool, Karaoke, Business Center with internet access, shopping arcades, beauty salon and more. *Please note: due to certain hotels reservation requirements, we reserve the right to substitute any hotels listed below. Deluxe hotel located in the center of Tsi Sham Tsui, the Shopping district of HK. 5 Star Deluxe, the 'mostest' in all of Asia, right on Shammian Island. The best resort 4 star hotel, right in the center of town. 4 star hotel conveniently located on the banks of the Pearl River. 4 star hotel, directly located on the banks of the LiJian River. Latest Updates, Infos and more Photos.